It’d be hard to find a more passionate bunch of sports fans than those that don the black and red in support of the Western Sydney Wanderers. This is them doing a jig called the Poznan. This kind of artistic expression en masse might be par for the course (pardon the mixed sporting metaphor) in the English Premier League but it’s almost unheard of Down Under. About the only thing an Aussie crowd has ever done in unison is shout ‘Pietersen’s a wanker’ or ‘ooh aah, Glenn McGrath’ at the cricket. Still, the Red and Black Bloc, as this all-singing, all-dancing outfit is called, has a lot to cheer about. While newbie teams in any sport usually take a while to find their feet, the Wanderers have had a fairytale initiation to Australian soccer over the past two years. OK, so they haven’t quite mastered the art of the fairytale finish. But this weekend the boys, pictured below in pre-flight formation, could pull off the biggest coup of all in Saudi Arabia, becoming the first Australian team to win the Asian Champions League. And there’ll be a stack of Wanderers fans on hand to see history being made against Al-Hilal at King Fahd Stadium, right? Um, there’ll be a contingent of 14. Yup. One. Four. In a stadium that seats 65,000 people, the Wanderers will have more players on the field than fans in the stands. This is not a case of fan apathy, I hasten to add. More like Saudi immigration being tight arses in the visa department. Among the 14 — among the 65,000 actually, given they’re banned from going to soccer matches in Saudi Arabia — will be one lone woman, Kate Durnell. 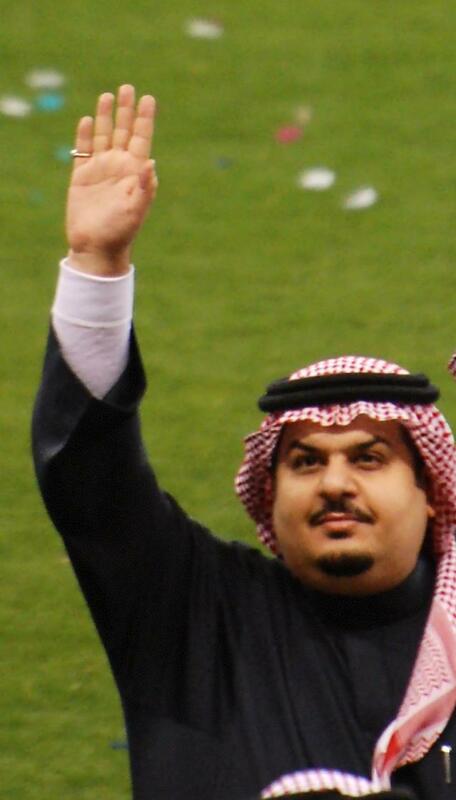 The Saudi prince who owns Al-Hilal. Who ate all the pies? It’s a tough assignment for the Wanderers. They’ll be without one of their key strike weapons, their fans. They’re up against a team owned by a prince whose granddad established the Saudi kingdom and therefore funded to the wazoo and which hasn’t conceded a goal in its last five home games. Money is being thrown around like confetti as an incentive for Al-Hilal players to win. No biggie. Our boys are up for the challenge. In China, an opposing fan tried to run the team bus off the road before their match against the modestly named Guangzhou Evergrande. Besides, if they listen carefully, they’ll be able to hear their supporters all the way from Parramatta. If they win, it’ll be the ultimate fairytale. And no doubt they’ll take a moment to look heavenwards and give a nod to Jack O’Brien, a foundation member of the Red and Black Bloc who died in the MH17 plane disaster, and Rod Allen, their head of media relations and an old journo mate, who died in a fall at Cockatoo Island last year. Fairytales are not without their tragic elements, after all. Previous Post The death throes of West Indies cricket?